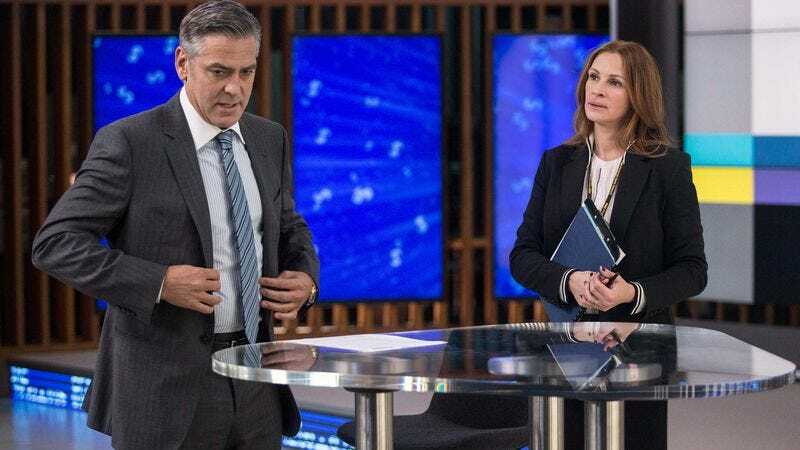 There was probably a time when George Clooney and Julia Roberts starring in a shouty hostage drama was a guaranteed box-office smash. But despite its title, Money Monster didn’t so much gobble the green as nibble at loose change. The film opened in third place this weekend with $15 million, exceeding expectations even as it reminded everyone how low expectations for this kind of ostensibly adult-minded studio picture have fallen. Would better reviews have helped? Should they have somehow sold it as an Ocean’s Eleven movie? Would the film have done stronger business in a season not dominated by superheroes? Wait, is there still a season not dominated by superheroes? Again, that $15 million is actually more than anyone was anticipating for Money Monster, whose $27 million budget remains in reach. Jodie Foster’s latest also managed to triple the earnings of The Darkness, a Kevin Bacon supernatural horror movie that did exactly as well as the last Kevin Bacon supernatural horror movie, Stir Of Echoes. (Like Clooney and Roberts, Bacon wants to party like it’s 1999.) Both films fell to Disney’s digitally enhanced one-two punch, with Captain America: Civil War repeating at No. 1 with $72.5 million (and helping the MCU rise past $10 billion in global ticket sales) and The Jungle Book holding strong in second place with another $17.7 million. Will the two be dethroned this coming weekend by a different showdown-themed entertainment and a different talking-animal family film? For now, and once again, the box-office glory belongs to Earth’s mightiest heroes and the jungle’s chattiest beasts. But two much smaller films achieved their own relative victories in the scaled-down arena of limited release. The Lobster, an animal film in its own right (though certainly not one for families), scored the best “specialty” debut of the year, making $188,095 on just four screens for a per-screen average of $47,024. And Whit Stillman’s Love & Friendship, featuring elaborately dressed characters scheming and bantering (though not in the context of an airport-exploding battle), made Amazon an almost-as-solid $132,750 on the same number of screens.